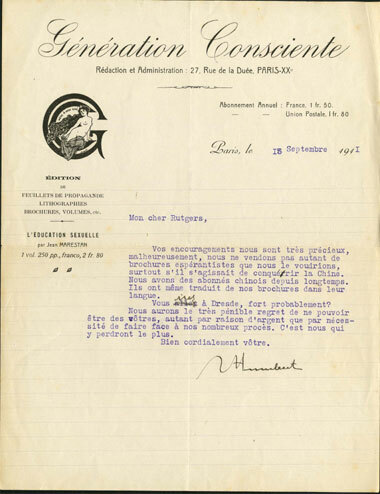 "Mon cher Rutgers, Vos encouragements ..."
Génération Consciente was founded by Eugène Humbert in 1908. It appeared until the Second World War. Read about the French neo-malthusians in the comprehensive introduction by Francis Ronsin to the Humbert papers.